Warm sunny weather has arrived once again and similar conditions are predicted over the weekend. As many know, Prague is full of interesting open spaces all within easy reach without the car. Here are a just a few ideas on how you can spend a sunny spring day in the city. Click on links for further information, photos and maps. Apart from the tourist cruises you can actually jump on board Prague’s Public Transport ferry network using your regular transport ticket or pass and criss-cross the river stopping at various islands along the way. Start at Karlovo Namesti for a trip past Vyserhrad to Císařská louka (Fun Island). On the island you can wander around and observe the many sports and activities taking place. There is also a kid’s playground and trampoline close to a snack bar and bbq grilling area where you can roast sausages and enjoy beer on tap. Every Sunday from May the Island stages Theatre, Concerts and Competitions for children 3 aged 15 years. Alternately you can start at the small ferry wharf between Charles Bridge and the National Theatre for a trip that takes you to Strezletsky, Slovansky and Detsky Islands. Detsky is the island with a kids playground and Slovansky also has a very good playground too, plus Zofin Garden restaurant has outdoor dining which includes a decent kids play area. You can read more about one of my ferry trips here. Full of vibrant green trees, acres of fields and twisting pathways perfect for bikes, rollerblades and even horses. Stromovka is your escape from the city and perfect for picnics and kicking round a ball. Public toilets are in short supply but other than that you have a lot to explore. There are several small playgrounds within Stromovka but the Tram playground within the forest of trees takes the cake, it’s matched perfectly by the really decent Vozovna restaurant which has both indoor and outdoor dining areas overseeing the playground. For those keen for music head over (with your kids) to Stromovka Music Garden - it’s a beer garden open from 11am with a continuous program offered over summer - Fridays is retro music from the 60s to 90s, Saturdays are festivals and special events and Sundays feature chill out, world and ethno music selected by Radio 1 DJs. 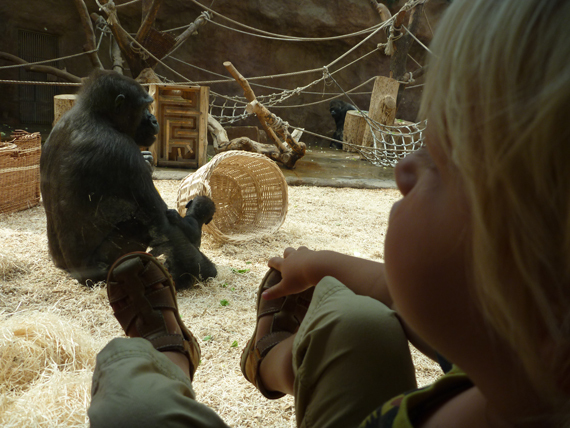 Ok, so many of you would know about Prague Zoo but it’s just such a super treat we have to recommend it again and again and again. How wonderful it is to sit outdoors on a sunny day and watch the Monkeys on Monkey Island or get up close and personal with a Lemur? The landscape design combined with exotic animal calls and hot weather transport me to other places - I could be anywhere! The kid’s area features a ride on train, pony rides, playground, goat feeding and the lanovka (chairlift) for kids old (or brave) enough to enjoy. My best advice - go early - eat early - leave early - especially on the weekends and in school holidays. The main reason is the traffic jams that you will be sitting in through the suburb of Troja, not to mention having to park miles away from the Zoo itself. Concentrate on seeing an area of the zoo rather than the whole thing - it’s pretty huge - and a whole day spent here is exhausting for everyone! 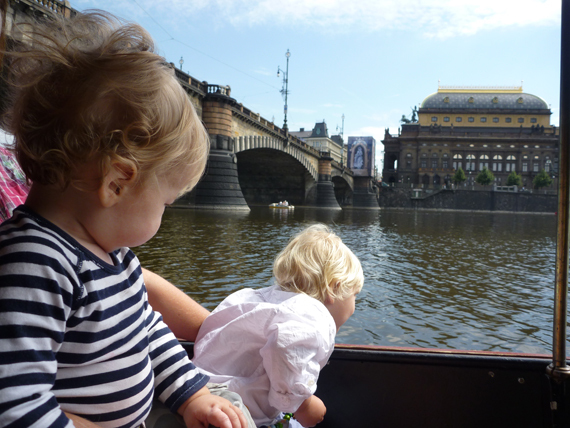 If you’re kids are old enough and have the stamina you can catch the Zoo Ferry from the centre of Prague and back, thus avoiding the road whilst enjoying the views from the river. 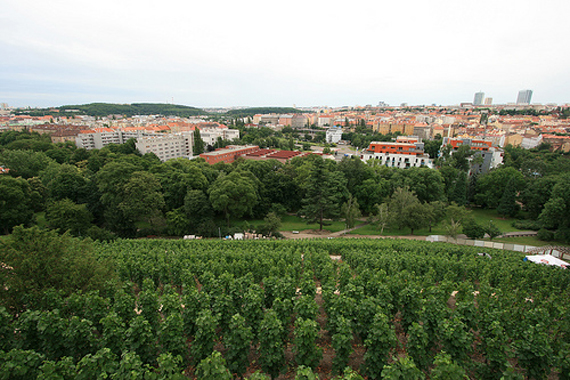 Up river from the city and contained within old city walls is the historical fort of Vyserhrad. There are high views of the city, lots of space for picnics and also quite a few eating options. Within the complex is a terrific playground, all in wood which capture children’s imaginations. 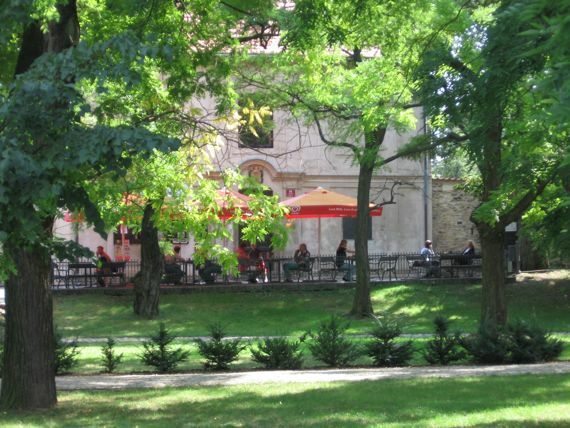 If you love the laid back beer gardens around Prague then look out for the famous Hospudka Na Hradbach, a beer garden which serves up grilled meats and croatian specialities whenever they get the bbq going - not the place to go if you are in a hurry! An obvious choice, popular with locals and tourists alike. It’s worth visiting to remind yourself what a beautiful city Prague is. Walk on the path underneath the monastery and enjoy the views, pick up some snacks and beer at the obcerstvi (Snack Bar) around the corner and find a place under the apple trees. There are heaps of spots to spread out and picnic in despite it’s close proximity to the city. Head up to the top of Petrin via the Funicular or walk and enjoy a great cardio work out. Once on top you have various attractions such as pony rides, a rose garden, the mirror maze, observatory and a rickety walk up Prague’s Eifel Tower. One of Vinohrady’s main parks with one of the few remaining Vineyards that the suburb takes it’s name from. Havickovy Sady has interesting views out to Prague 4 and spills downwards towards the Botic river. 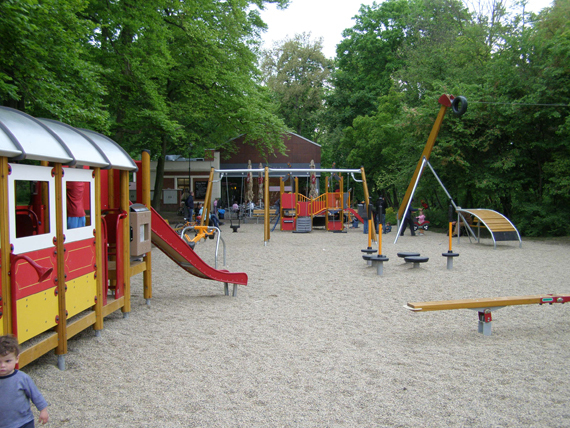 The park has a pretty good playground and nearby you’ll find Pavilon Grebovka for drinks, snacks and a few different paninis. For a more extensive menu and alfresco dining I can recommend Park Cafe. It’s in the bottom right hand corner of the park, you exit through the gate, turn left and cross the river. Sit back, watch the kids play and enjoy a beverage of your choice, voila!